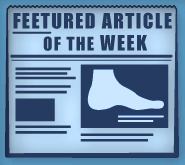 Prevent ankle sprains by performing the following exercises three to four times a week. Place several small objects on the floor, such as marbles or monopoly pieces. With your toes, begin to pick each piece up and place them in a small cup. Begin with two sets of 10 on each foot. If you become bored with this routine, try making it a race with your significant other or children! Next, stand on one leg and close your eyes. Sound easy? Try doing this for a whole minute without placing the other foot to the ground. After you've mastered this move, change to a more unstable surface, such as a mini-trampoline or foam block. This move will strengthen your ankles as well as your core. Try the toe tug. Loop an exercise band around a chair or table leg and loop the other end around your toes. When the band is taught, begin pulling your toes toward you, keeping your leg straight. Release the foot slowly and return it to the starting position. Do this 20 times. For more stretches, contact our three locations in Pleasanton, San Leandro, or Los Gatos, CA, at (510) 483-3390. Will my toenail grow back after falling off? Nail injuries can be painful, especially if they involve tearing or complete removal of the nail. This can be worsened by the concern of an unprotected toe. While toenails cannot be reattached, the good news is, if you’re wondering, “Will my toenail grow back?” the answer is yes! This healing process does require time, with full regrowth usually ranging from six months to a year. During this period, there are things you can do at home to promote your new nail’s development. First, wear shoes that fit properly and provide plenty of room for your toes to wiggle. Keep your feet clean with regular showers to prevent fungus or bacteria from growing. As your nail progresses, keep an eye out for any signs of infection, like swelling or redness. It will take time and some effort, but your toenail will grow back. To learn more, visit Dr. Michael Stein and Zeindelin Ahmad, DPM at Foot Doctor of the East Bay in Los Gatos, Pleasanton, or San Leandro CA. A broken ankle can be caused by injury, such as taking a fall, or twisting the area on uneven ground. It can also occur as a result of sudden trauma. Whatever the reason, knowing what to lookout for can help you determine if you’ve been seriously hurt. Signs include swelling in the area, tenderness to the touch, as well as change in the ankle’s appearance. You may notice bruising and be unable to bear weight on it. Pain is your body’s way of alerting you to potential sources of harm. If your ankle hurts, think if you have experienced recent trauma to the area. Untreated injuries can worsen sprains and fractures, so if you have been hurt it’s important to seek care sooner rather than later. This is especially true if you are experiencing sharp flashes of pain or dull throbbing which both can indicate possible damage. If you’re worried your ankle might be injured, contact Dr. Michael Stein and Zeindelin Ahmad at Foot Doctor of the East Bay. We can determine how serious the injury is and provide treatment right away. Stop by one of our offices in San Leandro, Pleasanton or Los Gatos, CA. What is the recovery time for a broken ankle? Ankle fractures can range from severe sprains to complete breaks. Depending on the injury you have sustained, and the exact location of the bone, the recovery time for a broken ankle may vary. In most cases, if surgery is not necessary, you will likely wear a cast from four to six weeks. The majority of people who sustain broken ankles need a few months, up to three, to recover fully. Gradually, you can begin to bear weight on the area again. With time, you should be able to return to normal activities. Meanwhile, to help yourself heal, try to keep your ankle elevated, and treat any inflammation with ice. Report any changes in the condition of your foot, or your pain levels. Although it may try your patience, it’s important to wait until your ankle is fully healed before returning to your active lifestyle—placing weight on an injured bone will only worsen the damage, and ultimately lengthen your recovery process. If you have more questions about broken ankles, please contact Dr. Michael Stein and Zeindelin Ahmad. Visit Foot Doctor of the East Bay at any one of our three convenient locations in Pleasanton, San Leandro, and Los Gatos, CA. How do I provide first aid for a broken ankle? Before you provide first aid for a broken ankle, call 911—especially if the injured person is bleeding profusely, is unable to move the foot, or if you notice numbness or blue discoloration or any signs of shock. First check to see if there is any exposed bone. If there is, don’t try to push it back in place—just cover with a clean bandage. Next, elevate the wound and apply steady pressure with a cloth for 15 minutes to stop the bleeding. Hopefully medical attention will arrive by then; if not, follow the RICE method: rest the area by immobilizing the joint; ice the area; compress lightly with a bandage or brace (but don’t re-set the bone); and elevate the ankle above heart level. After emergency care is provided, see a doctor as soon as possible. Foot Doctor of the East Bay can help you with the necessary treatment and recovery care. Dial (510) 483-3390 to set up an appointment at one of our three Bay Area offices.